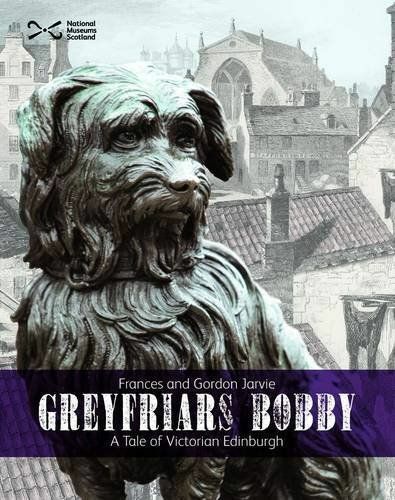 The story of the Skye terrier who refused to leave his master's grave in Greyfriar's Kirkyard, Edinburgh, has been popular from Victorian times. 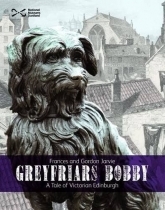 This book tells the well-loved story and also gives the historical background with such sections as: The Lord Provost, William Chambers (who declared that 'no one's dog is everyone's dog' and gave Bobby the Freedom of the City of Edinburgh); William Brodie, the sculptor of the famous statue; Edinburgh's shocking health record; Bobby's Edinburgh; Bobby's breed - why the name? The book is illustrated with drawings and photographs and relevant objects from the collections of National Museums Scotland and its Scottish Life Archive. An eight-page activity section includes: Dog issues - true or false? How well do you know your dog? Wordsearch. Follow in Bobby's pawprints. Greyfriars Bobby is the latest title in the Scotties series of activity books for young readers. Each contains a wealth of interesting facts.